PM Nguyen Xuan Phuc will lead a Vietnamese high-ranking delegation to participate in the annual meeting of the World Economic Forum (WEF) in Davos, Switzerland, from January 22-25. The visit will be made at the invitation of Professor Klaus Schwab, Founder and Executive Chairman of the World Economic Forum. Under the theme “Globalization 4.0: Shaping a Global Architecture in the Age of the Fourth Industrial Revolution,” delegates will assess impacts, prospects, cooperation, and dialogues to resolve issues relating to geopolitics; promote reform of global frameworks in response to new contexts of politics, economics, and society; shape new regulations and frameworks to boost global cooperation. Since its accession to the WEF in 1989, the relations between Viet Nam and the WEF have flourished in various fields. WEF has become an important forum for Vietnamese top leaders to meet with world leading groups and seek investment opportunities. Vietnamese high-level leaders regularly attend annual meetings of WEF in Davos and East Asia. Earlier, in 2017, PM Nguyen Xuan Phuc and a Vietnamese delegation worked to convey strong message of Viet Nam’s economic prospects, the determination to comprehensively reform the country and boost international integration. On this occasion, the two sides inked a cooperative agreement on developing self-reliant Vietnamese economy. In addition, Viet Nam and WEF have broadened other fields of cooperation including raising national competitiveness; industry, and agriculture. Viet Nam has proactively and effectively participated in WEF’s initiatives including New Vision for Agriculture, Growth Asia, Green Growth Action Alliance, the System Initiative on Shaping the Future of Production. Viet Nam hosted regional meetings of WEF. In 2018, Viet Nam organized the WEF on ASEAN in Ha Noi from September 11-13. 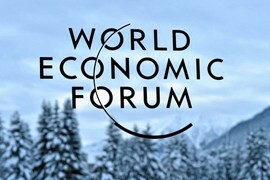 It can be said that the upcoming visit of PM Phuc to WEF Davos 2019 will send strong messages of Viet Nam on orientations, policies, and determination to comprehensively reforming the country and boosting international integration; encouraging leading partners and groups to cooperate with Viet Nam; and consolidating favorable environment for the fulfillment of socio-economic development plans in 2019.